Gary can tailor his fly casting lessons to suit your exact requirements and also offers fly casting tuition with Digital Video Analysis. Digital Video Analysis(DVA) can substantialy speed up your learning curve, to find out more about DVA and how it can help you please read the DVA page on this site. 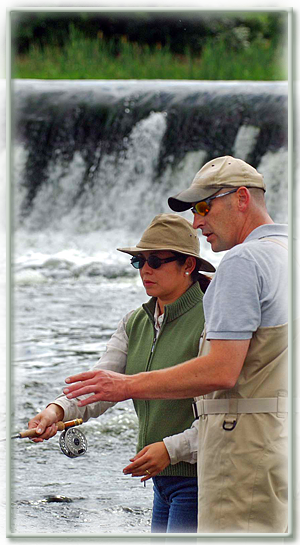 All Casts and methods of Double-Handed Fly Casting are taught, which are Traditional, Scandinavian/Underhand and Skagit, from Beginner to Advanced Level. Casts include. All Casts and methods of Single-Handed Fly Casting are taught, from Beginner to Advanced Level. Casts include. Please contact Gary for more details or to book a lesson.